As outlined in chapter 1, one-half of dog bite victims in the United States are children. Likewise in Ohio, significantly more children suffer dog bites each year than do adults. The reasons for this vary, but there are some basic explanations. Children are oftentimes less cautious around dogs than an adult would be. For example, children will disturb a dog that’s sleeping or eating or reach through a fence to pet a dog. Adults usually give such notions a second thought. 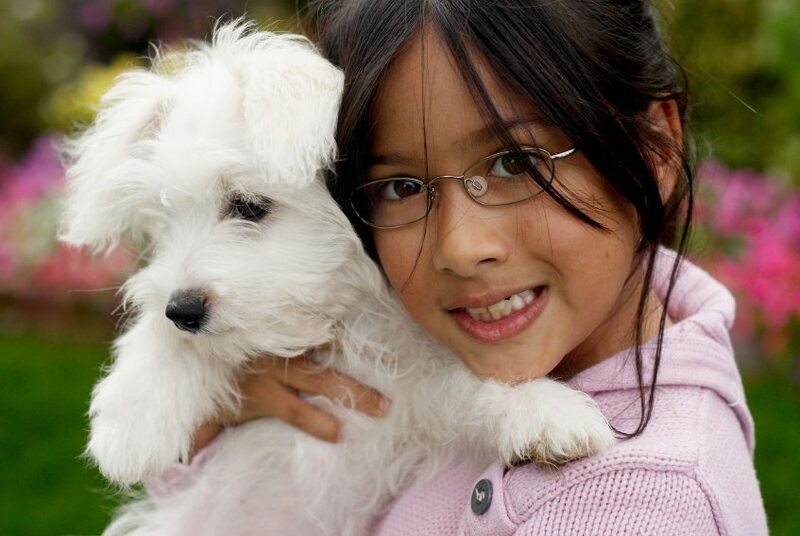 Children tend to make quick movements which attract can attract a dogs attention. Dogs naturally love to chase and catch things so a running child can become a target. Children tend to be outdoors more, especially in the summer months, where there is a greater chance of a dog attack. If your child is bitten by a dog there are several things you must consider. Most young children who are bitten by a dog suffer bites on their heads, faces, and necks. Such injuries are not only painful and traumatic, but they can be disfiguring as well. If your child has suffered such a dog bite, you must consider having your child evaluated and treated by a plastic surgeon. The sooner your child is examined by a plastic surgeon, the better his or her chances are to minimize the damages and scarring. Oftentimes, surgery may be necessary and in some cases multiple surgeries are required over an extended period of time. It is important to find not only a skilled plastic surgeon, but also one who will be willing to document your child’s injuries and produce a report for litigation. A dog bite can be traumatizing, especially for a child. After a dog attack, many children suffer from nightmares about the attack and most become fearful of dogs in general. Psychological issues can arise not only from the attack itself, but also from being self-conscious about scars. Children with scars on their face may be embarrassed to go to school or be out in public. If you child suffers a dog bite, you should consider having him or her evaluated and treated by a child psychologist or therapist. Again, it is important to find a skilled professional who is willing to cooperate with any necessary litigation. If your child is bitten by a dog he or she will have six years from the date of his or her 18th birthday to file a lawsuit against the dog’s owner. An adult would have six years from the date of the dog bite to file his or her claim. This extended time period for children ensures that children with especially traumatic injuries will have time to recover before seeking compensation. There are many factors to consider when a child has become the victim of a dog attack. Obviously, you want to provide the child with the proper care he or she needs now but you must also evaluate the potential impact and ramifications a dog attack has on the child’s future. It’s extremely important not to rush into a quick settlement with an insurance company for this very reason. Get the information and advice you need to make an informed decision form sources that will serve your best interests and your child’s.